Wearable tech seems to be the latest frontier fashion labels are getting into a frenzy over. 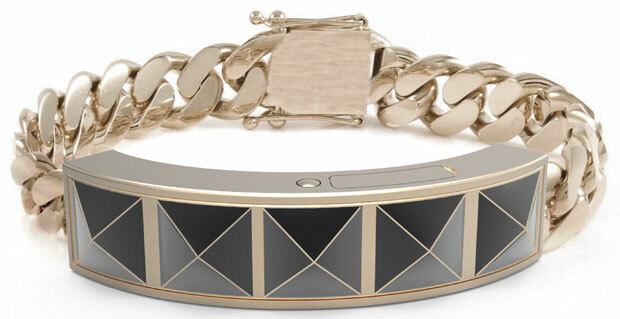 Tory Burch just launched Fitbit Flex, a fitness tracker you can wear on your wrist or as a pendant. Diane von Furstenberg released a collection in collaboration with Google Glass. Now, Rebecca Minkoff is getting in on the fun and is due to debut a new five-piece line of wearable tech items during New York Fashion Week. Minkoff teamed with Case-Mate on the project, focusing on camouflaging the capabilities of her accessories with stylish accents. In addition to the obligatory iPhone case, the range will offer an external charger and wristlets. 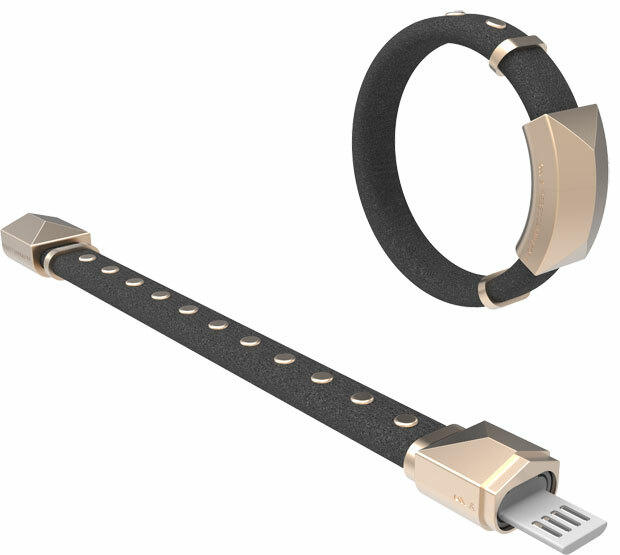 Also on tap is a pyramid-clasp studded leather bracelet that transforms into a lightning cord allowing the user to charge or connect their mobile devices. Minkoff’s collection also boasts a chain-link bracelet that will notify the wearer when they get a call or a text. 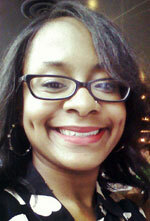 “As a woman, I understand the stigma that goes along with having my phone out at a dinner or meeting, but the fact is that I still need to be tapped in to a few people no matter what. I designed the notification bracelet with the working professional woman in mind,” says Rebecca Minkoff in a press release today. A few of the items are expected to launch in September, which will be available at Nordstrom and RebeccaMinkoff.com. The remainder of the collection will trickle out at the end of the year. Prices for the pieces start at $40 and peak at $120 for the notification bracelet. CEO Uri Minkoff explained that the goal with this collection was to provide women with fashionable tech items that would actually be useful in everyday life. “Health is covered [in the wearable space] but at the end of the day, our customer comes to us for fashion — and as we look at this fashion-function mix, it’s really where she’s living. This is a hybrid area where we think we can have success with this customer,” he told WWD.